Musical Therapy play host to not one but two of the biggest names to have come out of Jamaica since the iconic Bob Marley Legendary singers. 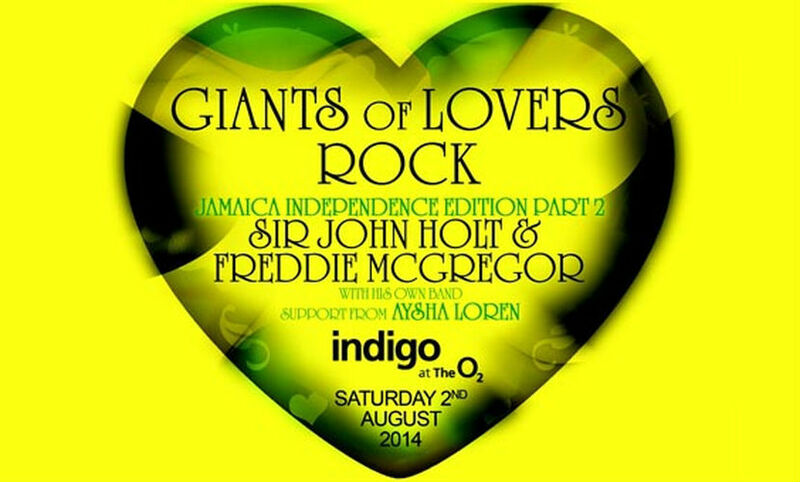 Sir John Holt & Freddie McGregor share the stage for the first time at Indigo at The O2 in honour of Jamaica’s Independence Anniversary. “Help Me Make it Through The Night” & “Just Don’t Want to be Lonely” on what will be a sold out night full of irie vibes. Buy your tickets now as they wont be on sale for long!!! !